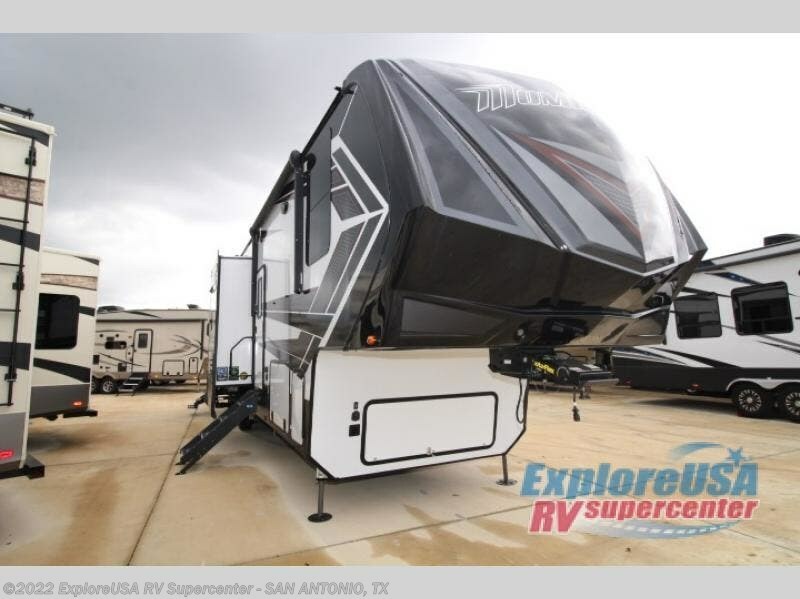 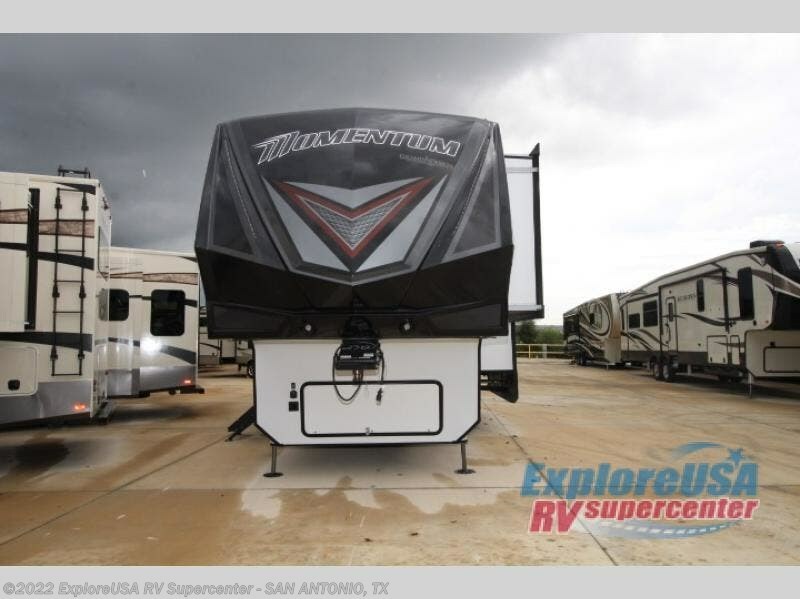 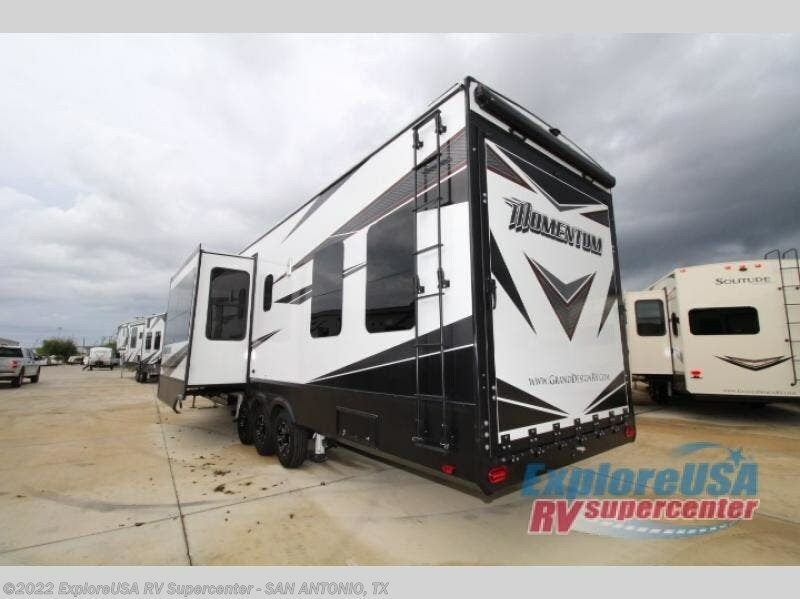 If you are ready to play with your off-road toys, hitch up this Momentum 399TH fifth wheel toy hauler after loading your toys in the 13' garage. 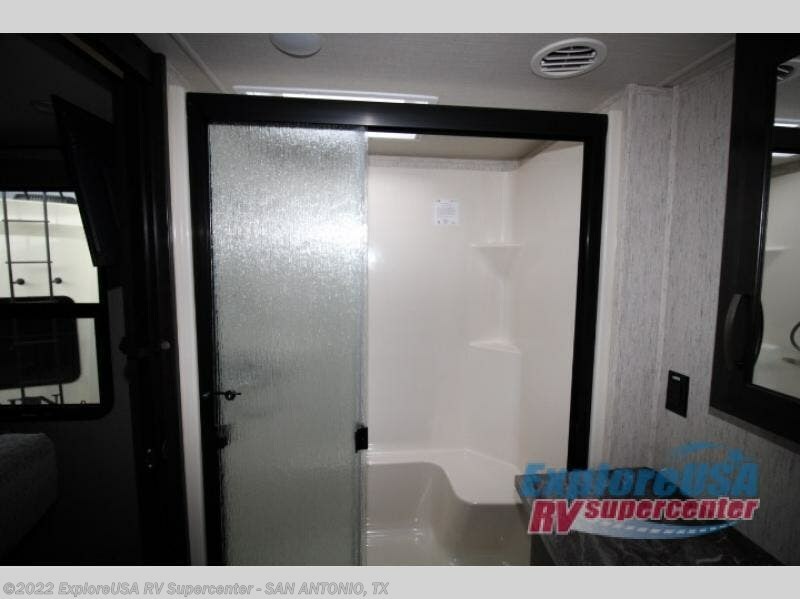 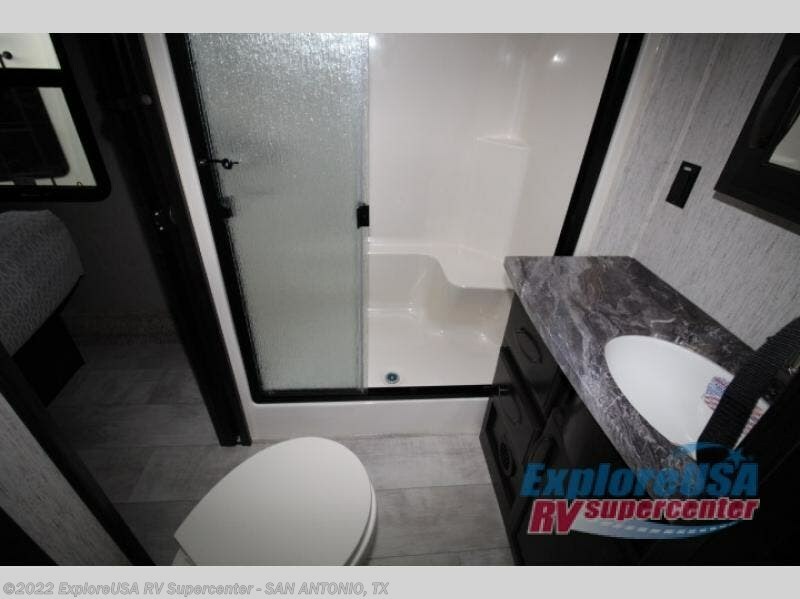 You will be able to get cleaned up after getting muddy from the trails in the half bath in the garage or the full bathroom next to the bedroom. 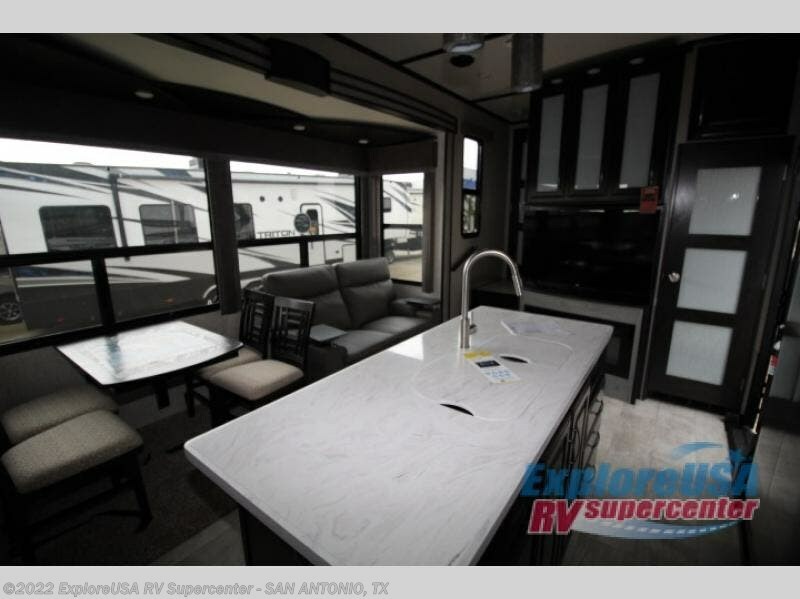 The kids can sit on the bar stools at the kitchen island, or relax on the dinette and theater seats while watching the 49" LED TV and fireplace. 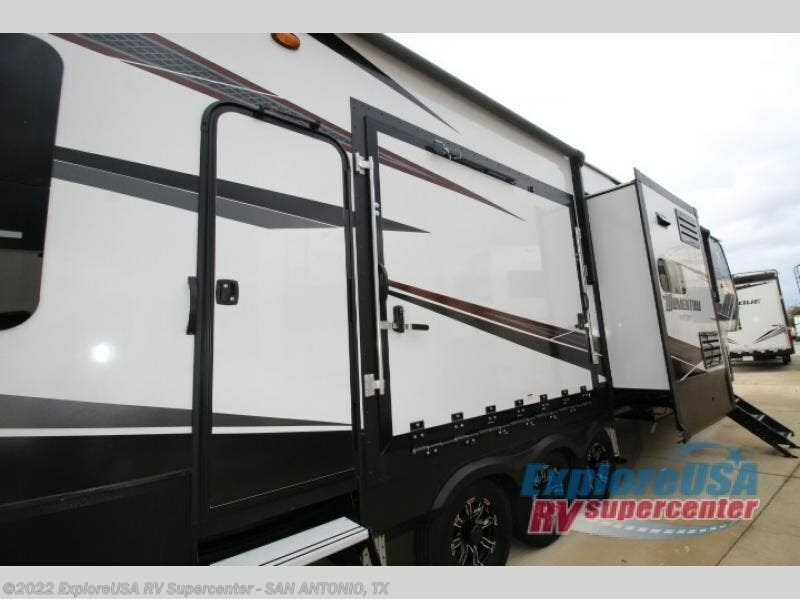 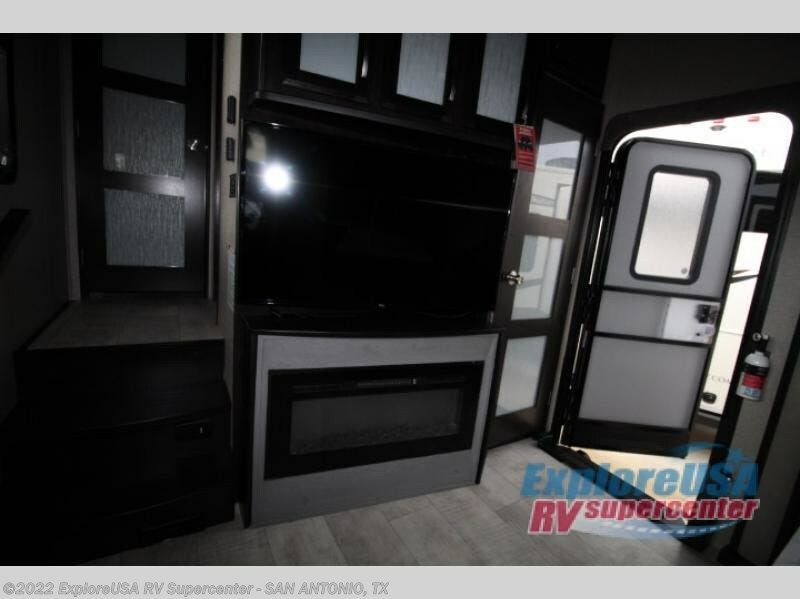 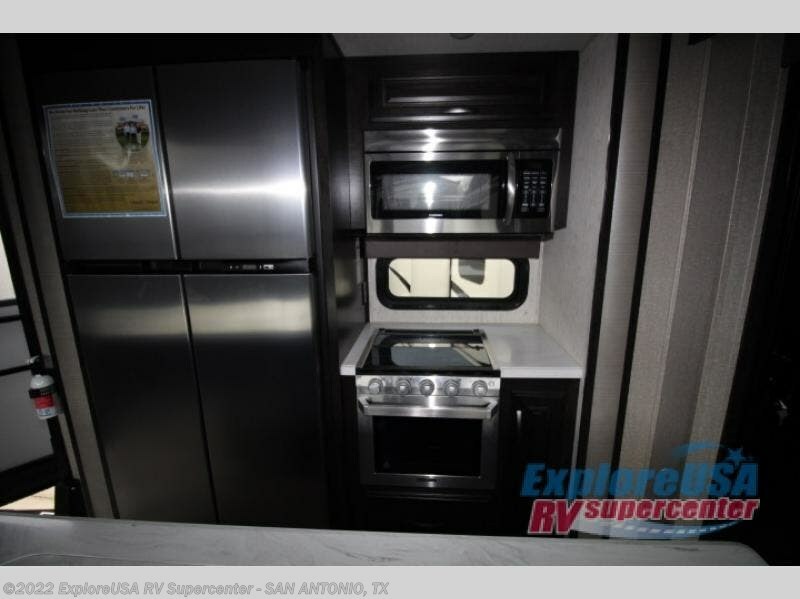 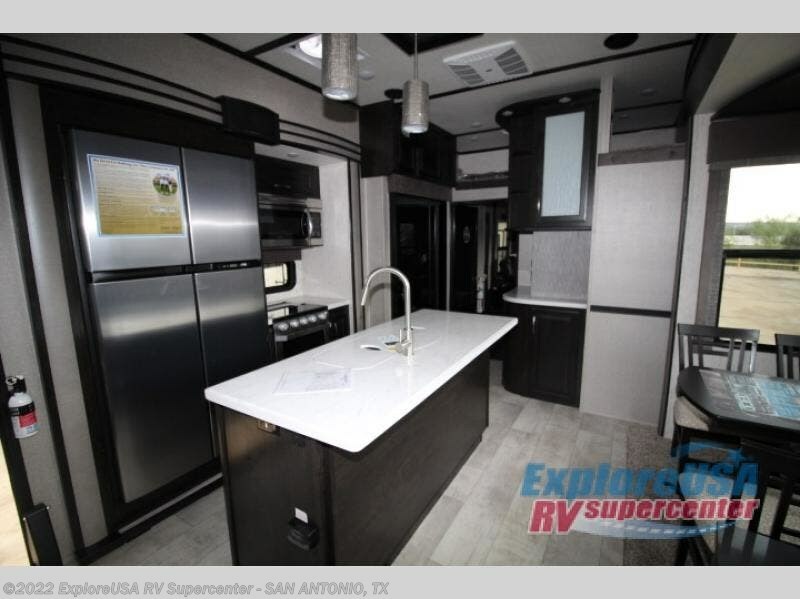 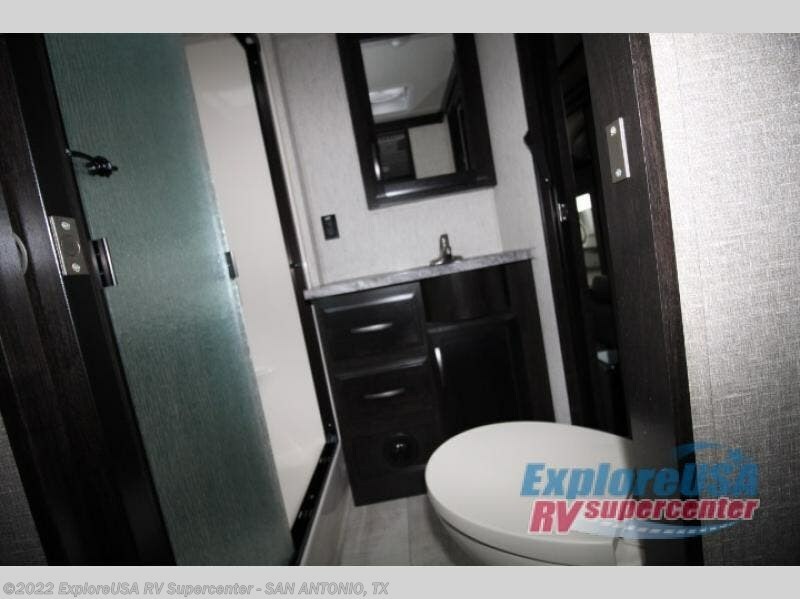 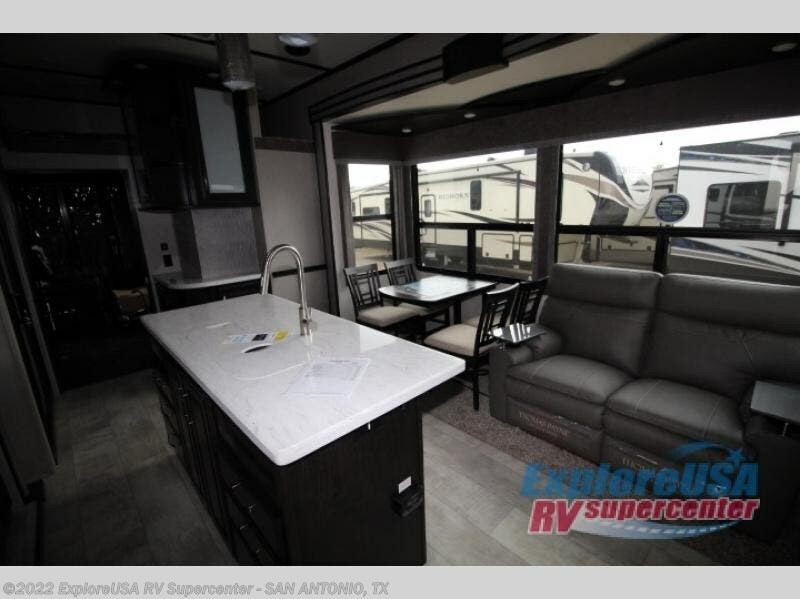 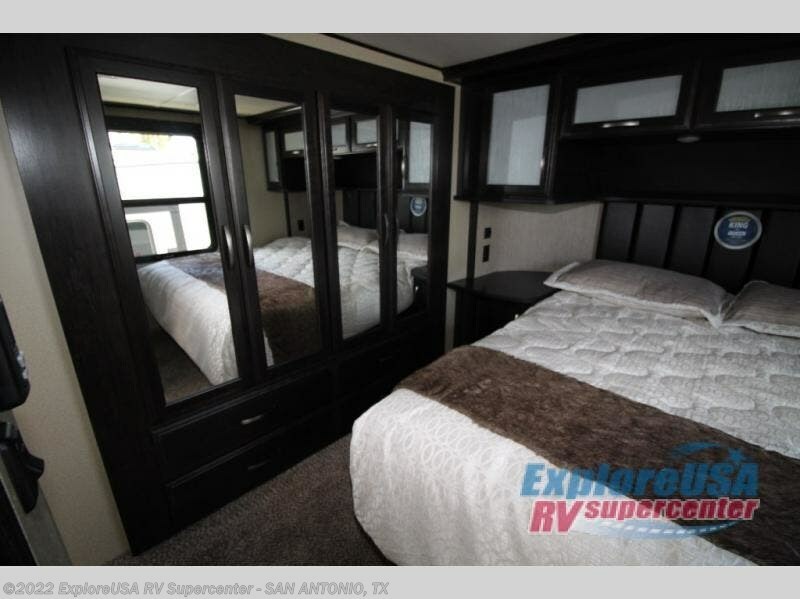 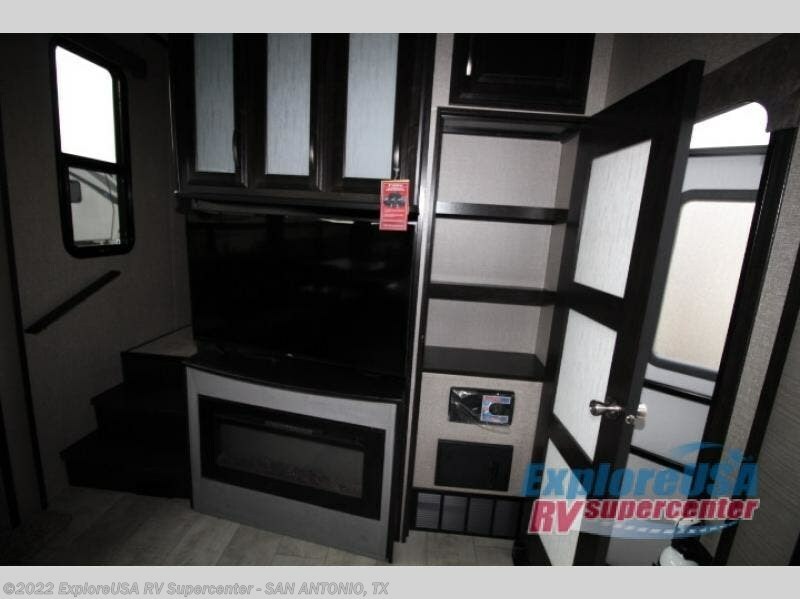 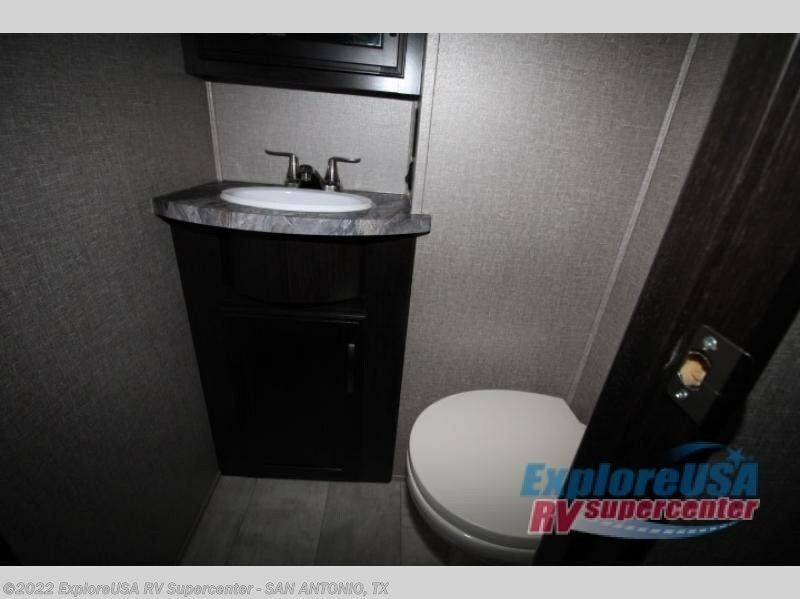 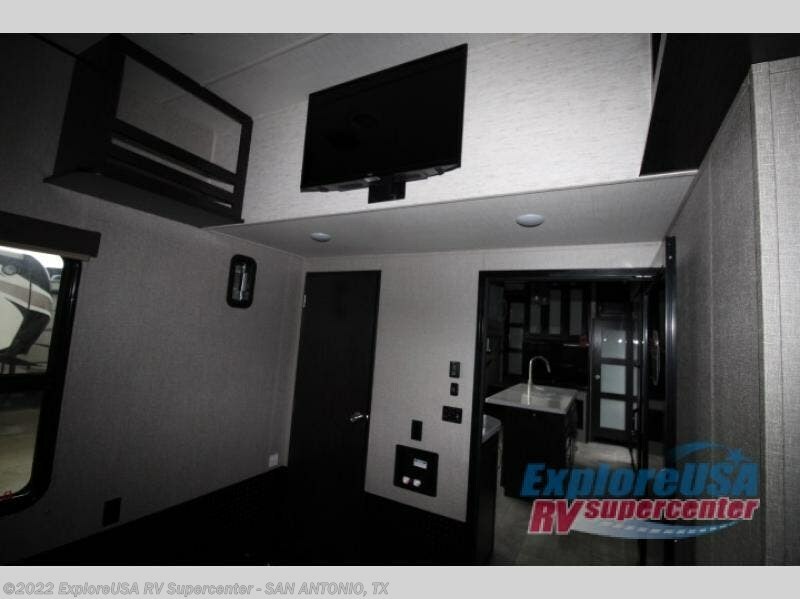 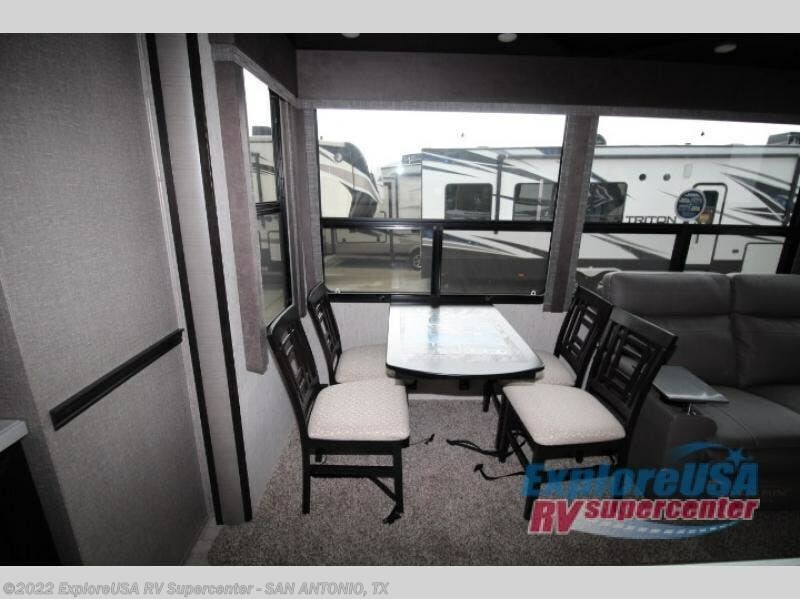 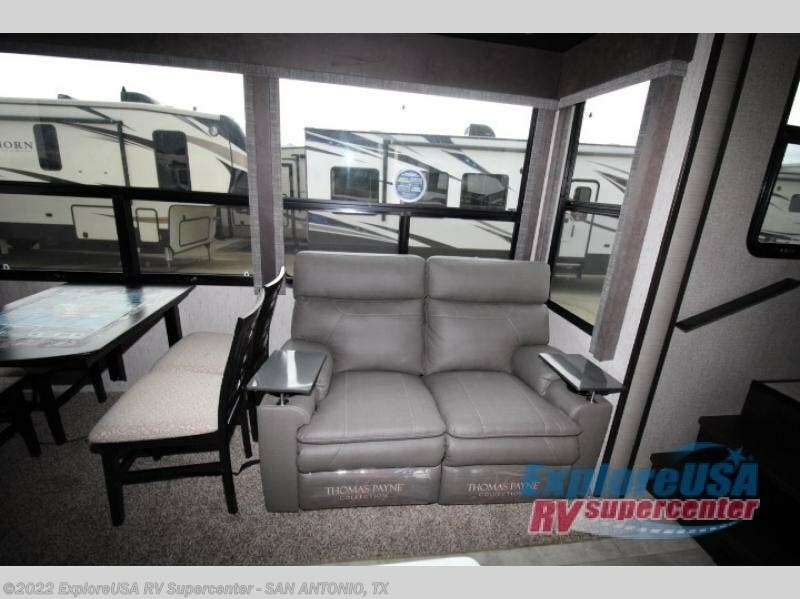 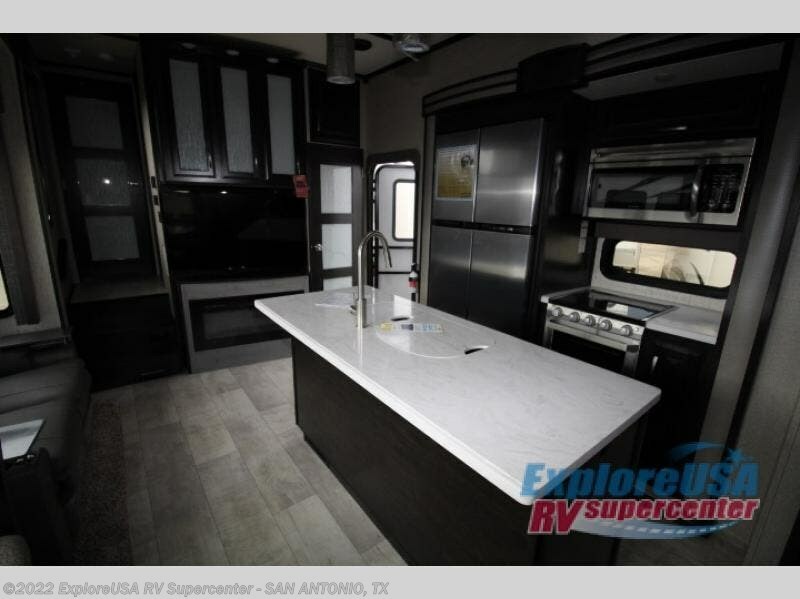 There are several options to choose from, and many more features to enjoy such as the dual entry doors, fold-down side patio with LED TV, and exterior unobstructed pass-through storage, plus more! 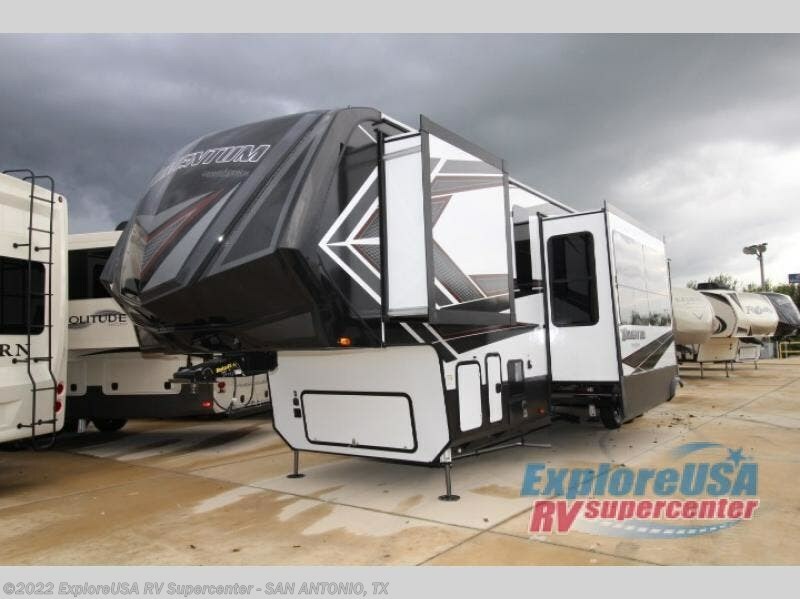 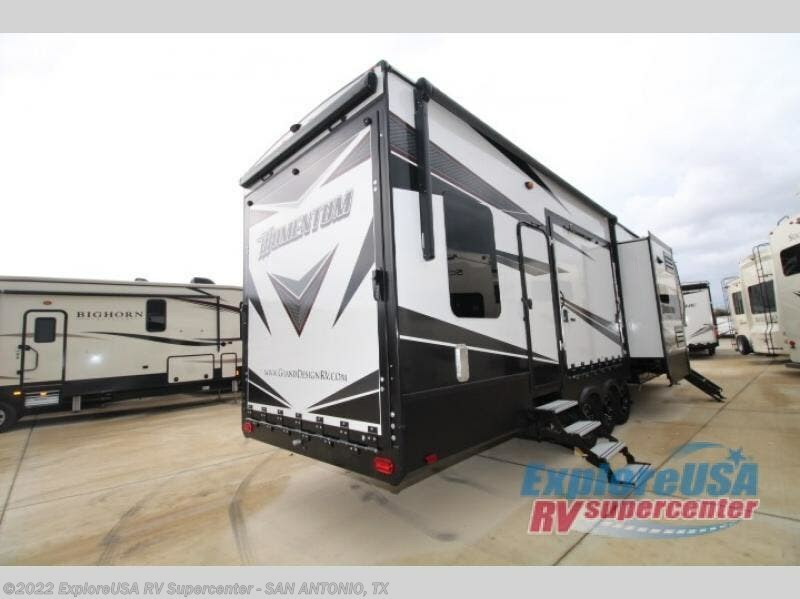 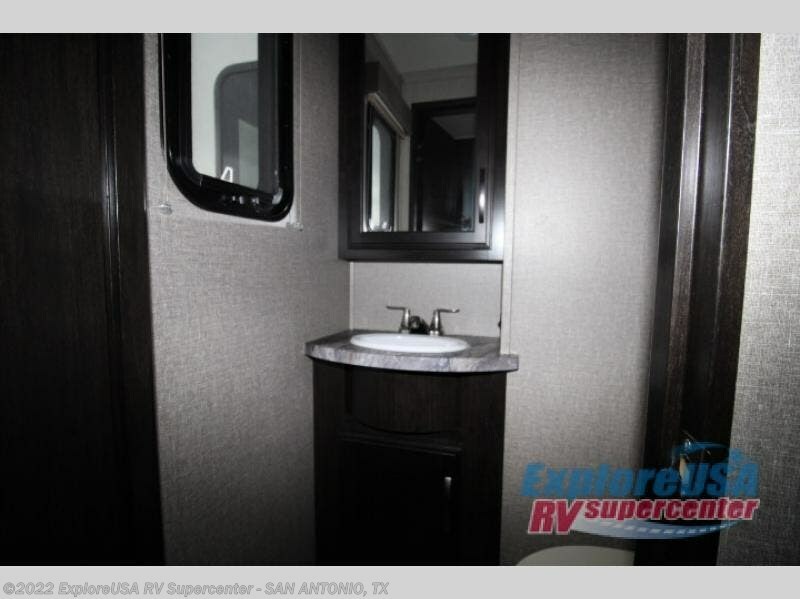 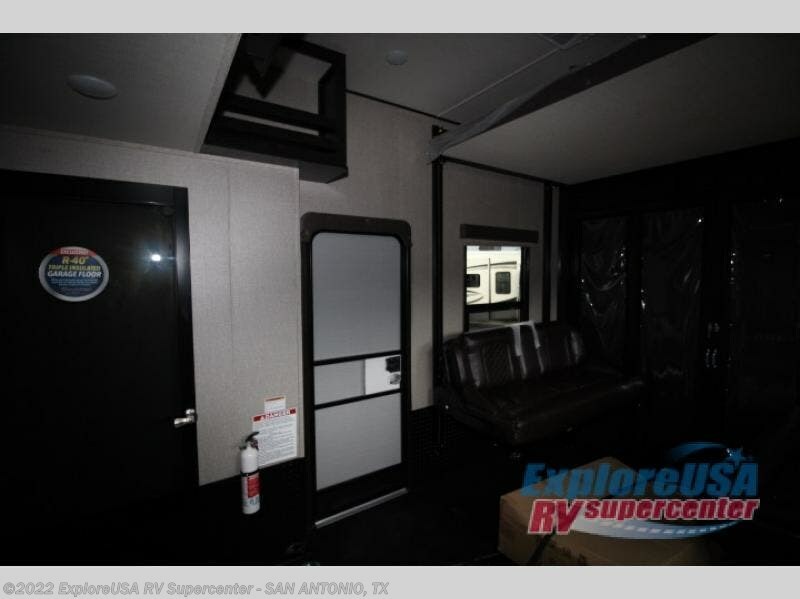 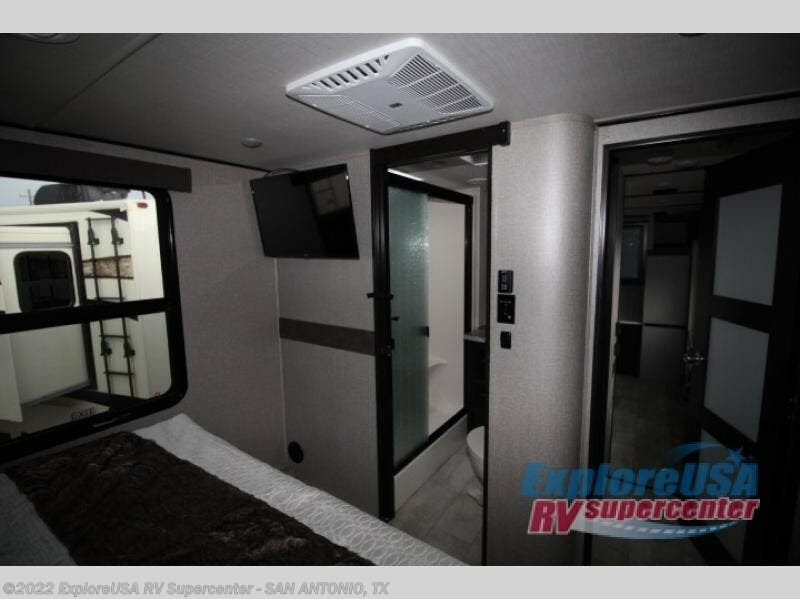 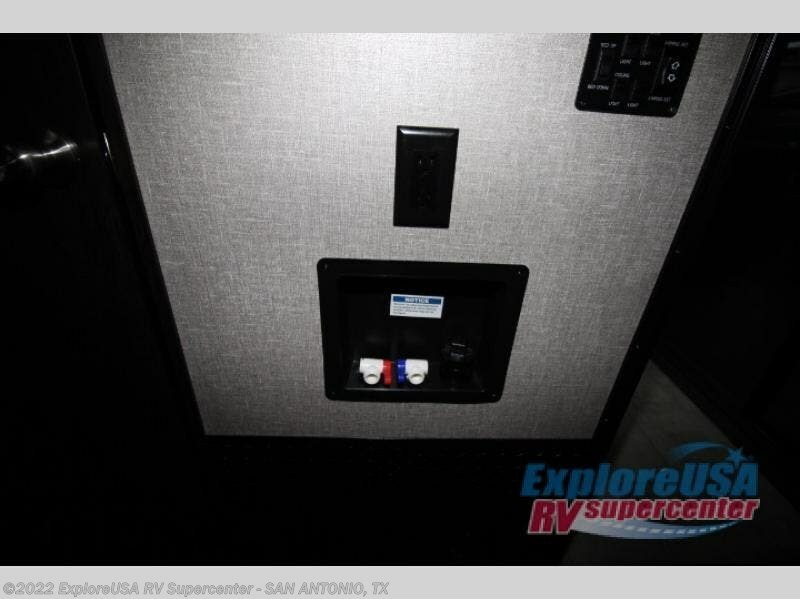 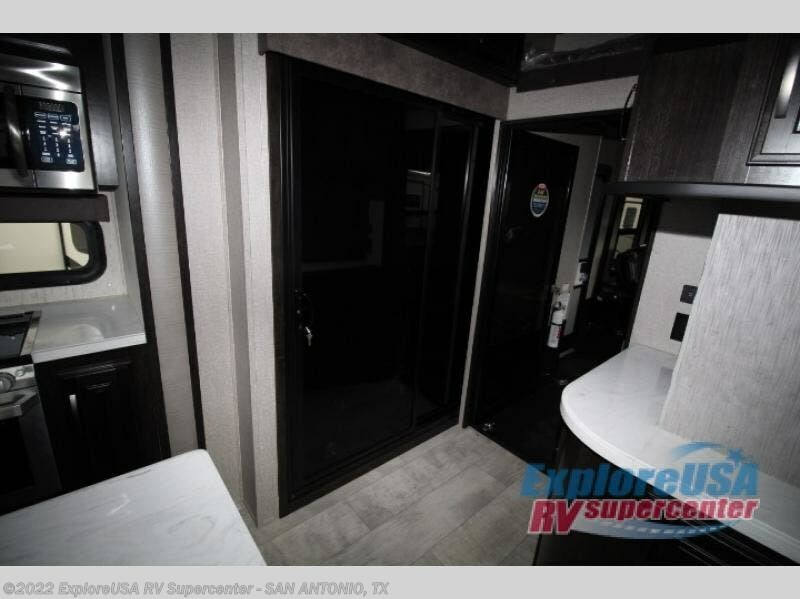 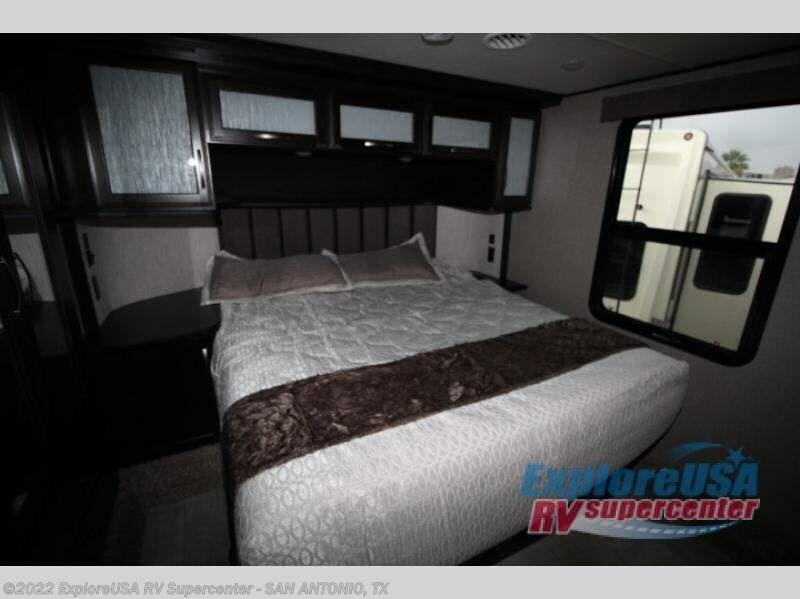 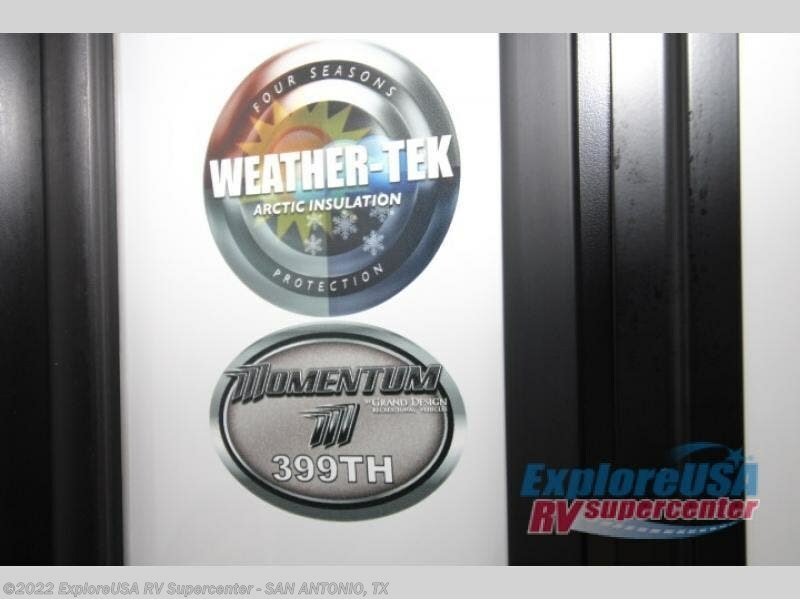 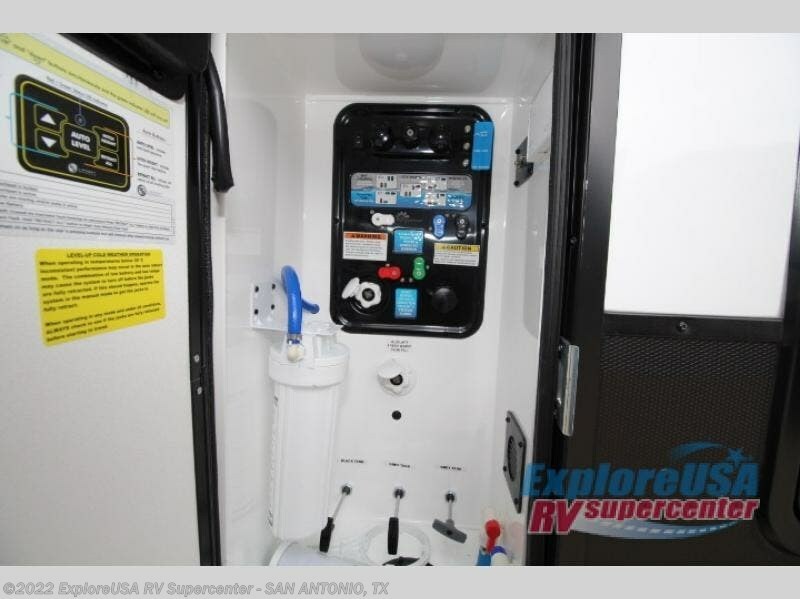 With any Momentum toy hauler fifth wheel you will enjoy extraordinary living with extreme playtime with the Weather-Tek insulation for four seasons of protection, and a fully enclosed fuel pump station to keep the fun going the whole time. 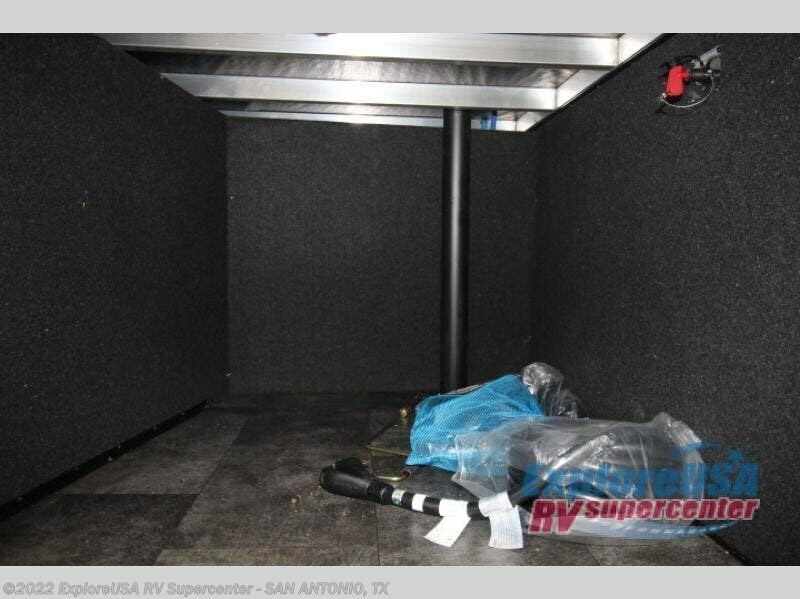 The Tuff-Ply garage flooring is gas and oil resistant, plus triple insulated. 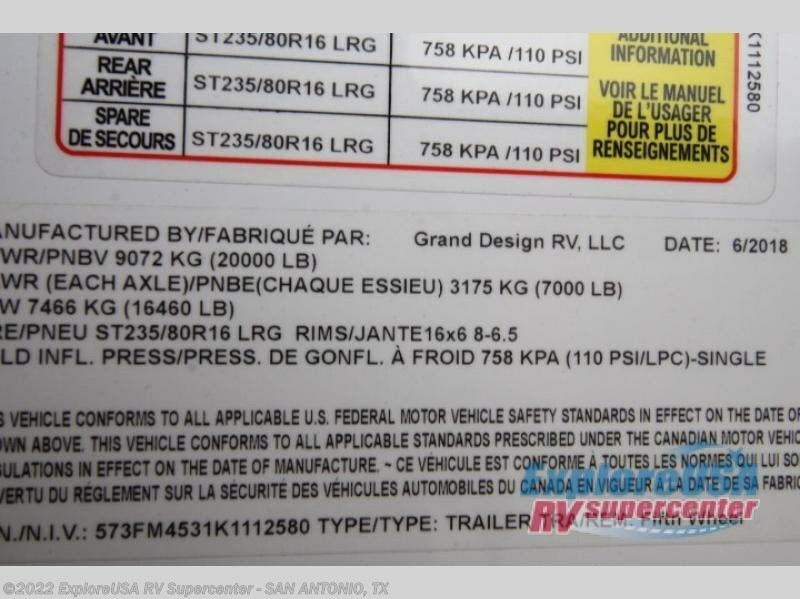 You will find 2,500 lb. 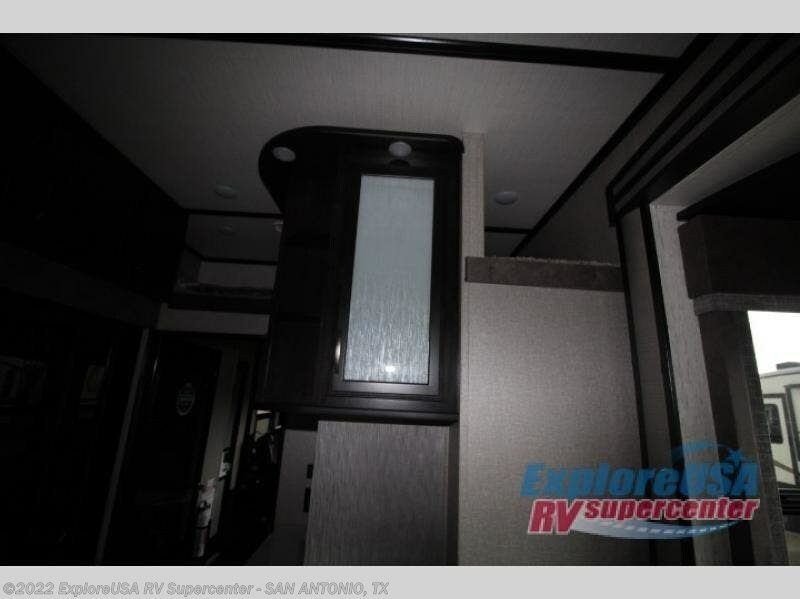 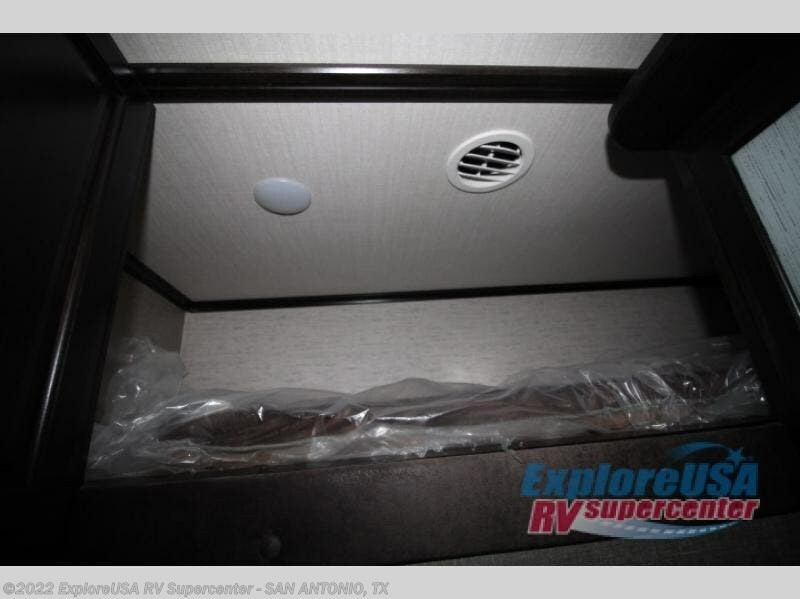 rated flush-mount tie-downs to keep your toys secure while moving down the road. 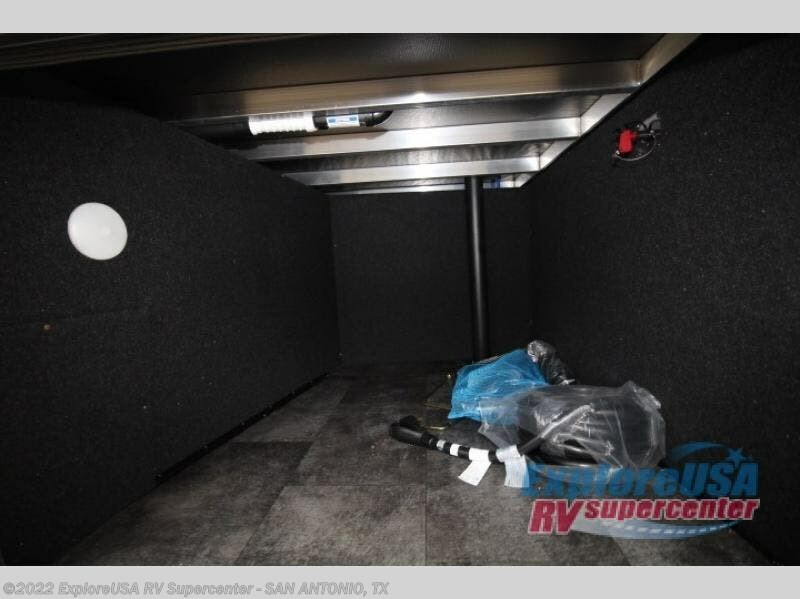 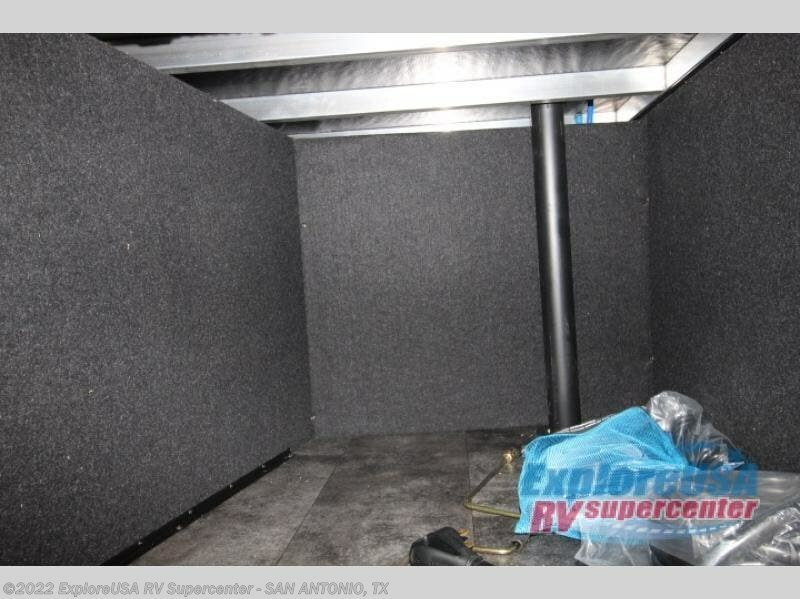 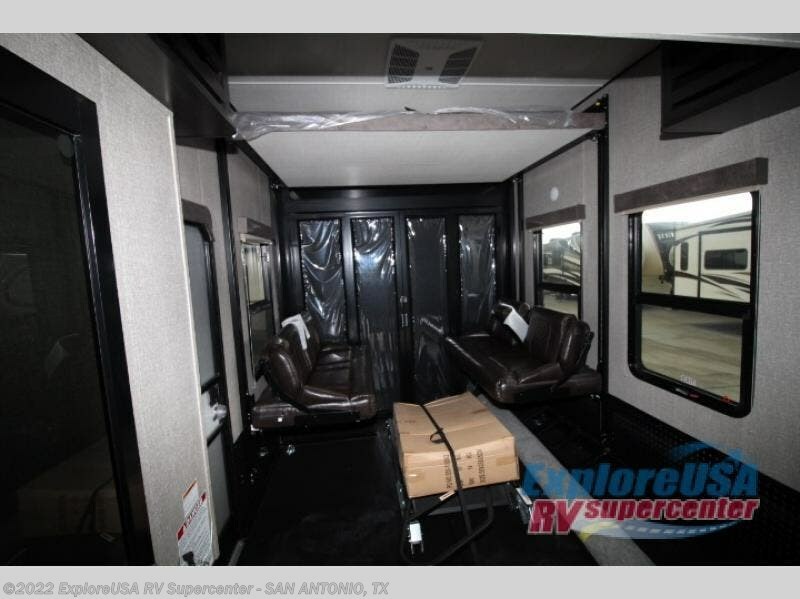 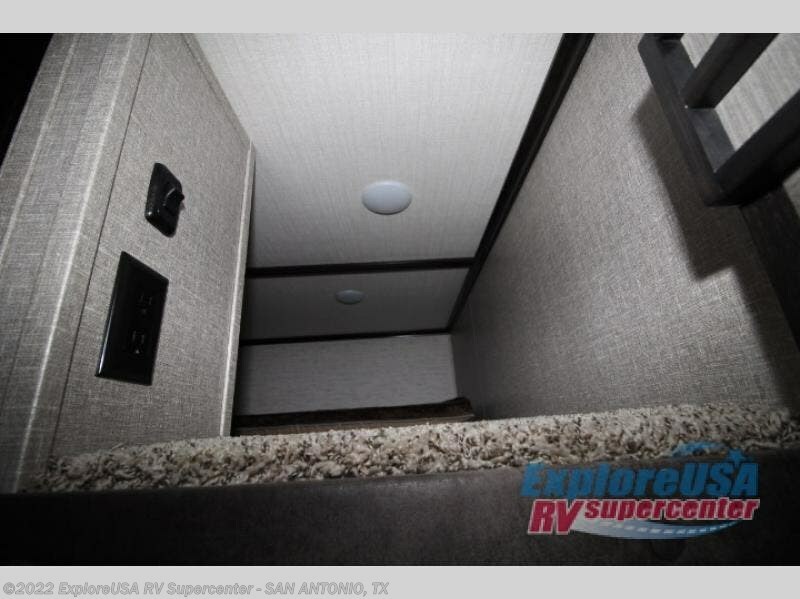 The interior includes a sofa with headrest and removable swivel table, a convection microwave, a central vacuum system with tools and a dust pan, and a satellite/solar roof access channel to mention a few highlights. 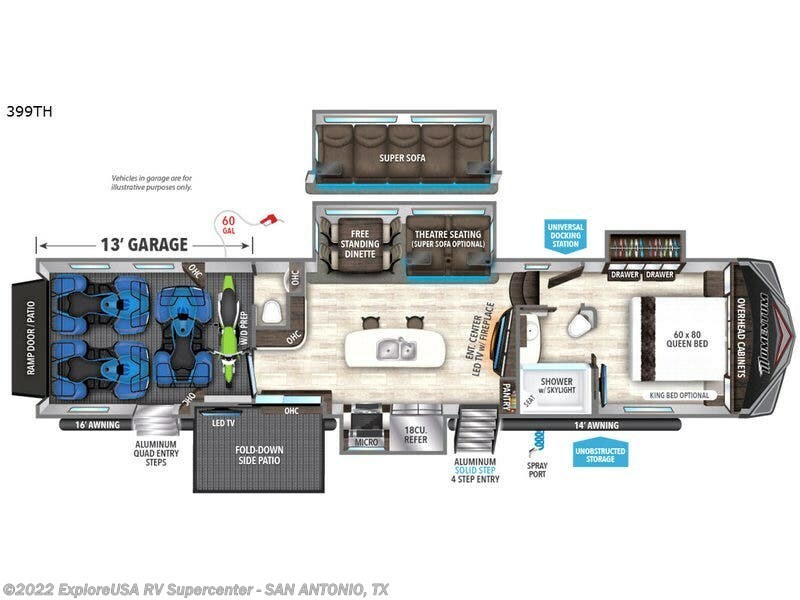 Any Grand Design Momentum allows you to keep your active lifestyle no matter where you decide to stay! 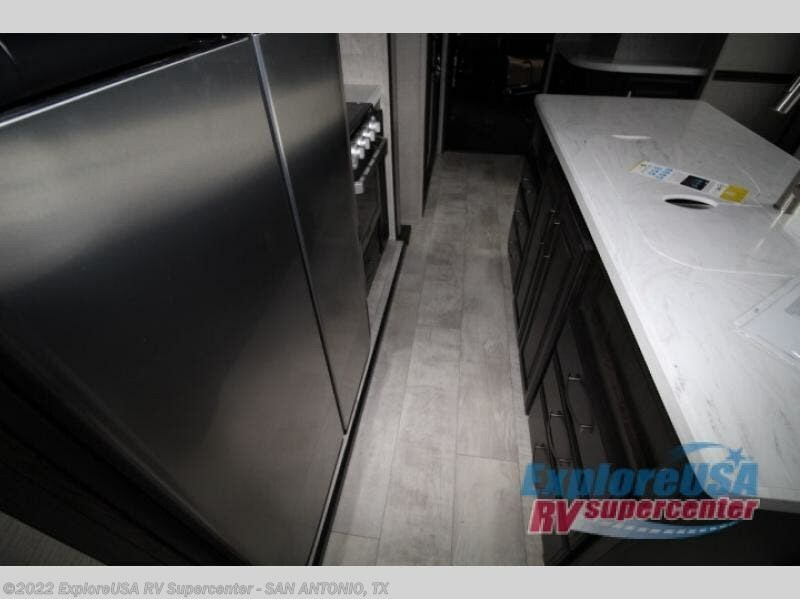 Check out Stock # SA3174 - 2019 Grand Design Momentum 399TH on granddesignsource.com!